Game of Thrones actor Pilou Asbæk has suggested his new character will make the villainous Ramsay Bolton “look like a little kid”. You might have thought it couldn’t get much worse than the sadistic King Joffrey Baratheon or the twisted Ramsay Bolton, but apparently GoT fans should prepare themselves for a truly malevolent addition in season seven. 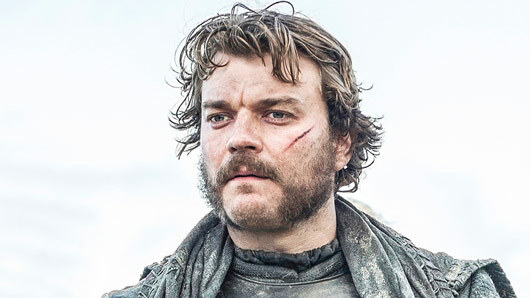 Pilou Asbæk has teased how the antics of former villains will look practically tame in comparison to what his character, Euron Greyjoy, has up his sleeve. “After this season, Ramsay’s gonna look like a little kid,” he added. Asbæk made his first appearance in season six of Game of Thrones when he snatched the Salt Throne from his brother Balon… before killing him off, of course. Game of Thrones season 7 returns in the UK on Sky Atlantic and NOW TV on 17 July.